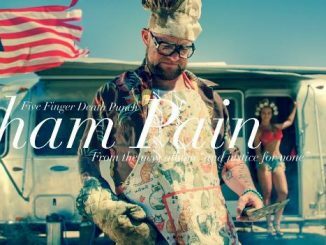 FIVE FINGER DEATH PUNCH have released the new song “When The Seasons Change,” marking one of the most infectious and melodic songs in their repertoire yet. 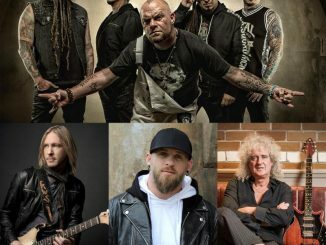 “This song is about loyalty, the kind of loyalty that doesn’t crumble in the face of adversity, which we have faced many times throughout our career and in our lives,” explains guitarist ZOLTAN BATHORY. “This is a very human subject everyone can relate to and it is something this world can use more of.” “When The Seasons Change,”is off the group’s forthcoming album AND JUSTICE FOR NONE, which is due out May 18.Listen to “When The Seasons Change” HERE. 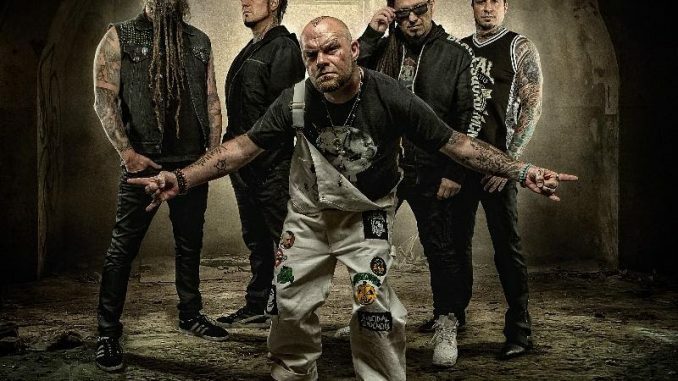 FIVE FINGER DEATH PUNCH’s current single, “Gone Away” (their own rendition of The Offspring’s 1997 hit single) has received over 27 million streams in the U.S., is currently charting at #5 on Active Rock and topped the iTunes rock and metal charts globally. Check out the official video for “Gone Away” and the lyric video. The group has now released three pre-order tracks “Fake” (on 4/6) which generated just under 1 million streams in the U.S. during its first week and made the viral chart on Spotify in multiple countries. 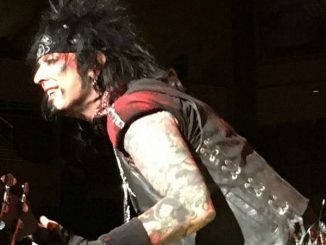 Following two weeks later was the song “Sham Pain,”–listen HERE–which launched to over 1 million streams in its first week of release and now “When The Seasons Change.” Expect an official music video for the song “Sham Pain” to be released next week.